Coursera signature track: Would you pay $100 for a free online college course? Would You Pay $100 for a Free Online College Course? 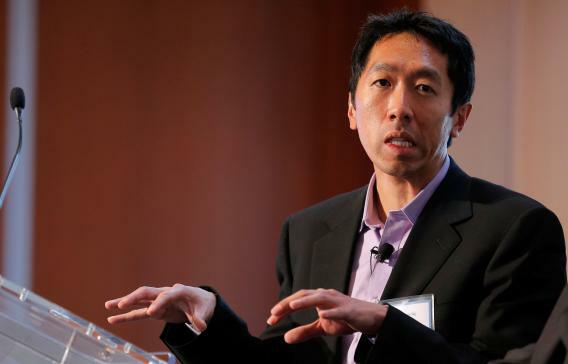 Coursera co-founder Andrew Ng faces a challenge in convincing universities to keep offering their classes online through his platform. In just one year, Coursera has established itself as the giant in the rapidly growing field of online higher education. It has done it by partnering with dozens of prestigious universities around the world to broadcast lectures to the masses, for free. Not surprisingly, this approach has proven stupendously popular. The New York Times’ Tamar Lewin noted that Coursera drew one million users in its first four months, more than Facebook or Twitter. The massive expansion has been financed by venture capitalists, who will of course eventually expect a return on their investment. But venture capitalists can afford to be patient. Their risk is matched by the potential for enormous long-term returns. Coursera and its ilk have a few intriguing options for making money, including charging recruiters for access to students in coveted fields, like computer science. (That’s been an early focus of its rival Udacity.) But the most obvious is to charge students money to take the classes, just as traditional schools do. Last fall, it announced a pilot program to offer certain courses for real college credit via a third party assessment service. And on Tuesday, it unveiled its newest initiative: “signature track” courses that offer students “verified certificates” if they pay a fee of $30 to $100 and submit to a few simple procedures to verify their identity. The Washington Post has more on the verification procedures, which are really interesting, if untested in the education world. But the more immediate question is this: How many people will be willing to pay $100 for an online course that most others are taking for free? Only a tiny minority, in all probability. After all, the certificate doesn’t count for college credit anywhere, at least at this point. And it doesn’t even necessarily mean that you didn’t cheat. All it does is make people marginally more likely to believe you when you tell them you got an A-minus in, say, Computational Methods for Data Analysis. But don’t count out the project’s potential just yet. Coursera’s strength, as its investors surely know, lies in its scale. If just one in 100 users signs up for a signature track course next year, that could still mean $1 million or more in revenue. That’s nothing to the venture capitalists, except perhaps as a proof of concept. But it might just help to tide over the universities for a little while—which is crucial, because there are signs that some are already getting antsy.